It is that time of year again! 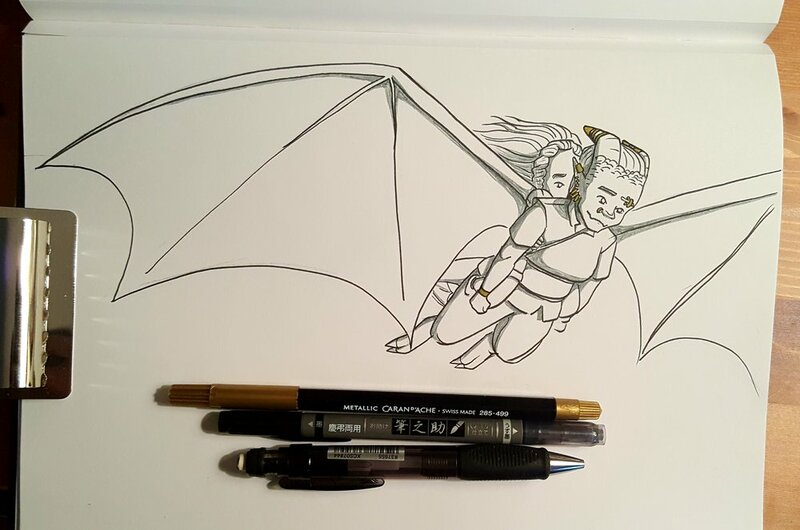 My favorite art challenge is on the horizon, Inktober. There are a lot of prompt lists floating around this year, but I’ve decided not to follow any of them. I’m also not making my own list. Instead, I’m going to be working with a theme. I’m going to be designing a Dungeons and Dragons character every day. I will have at least one character design for every race, but I will not have as many characters for the rare races as for the common races and the majority of the characters will be human. I will also have at least one character for every class. 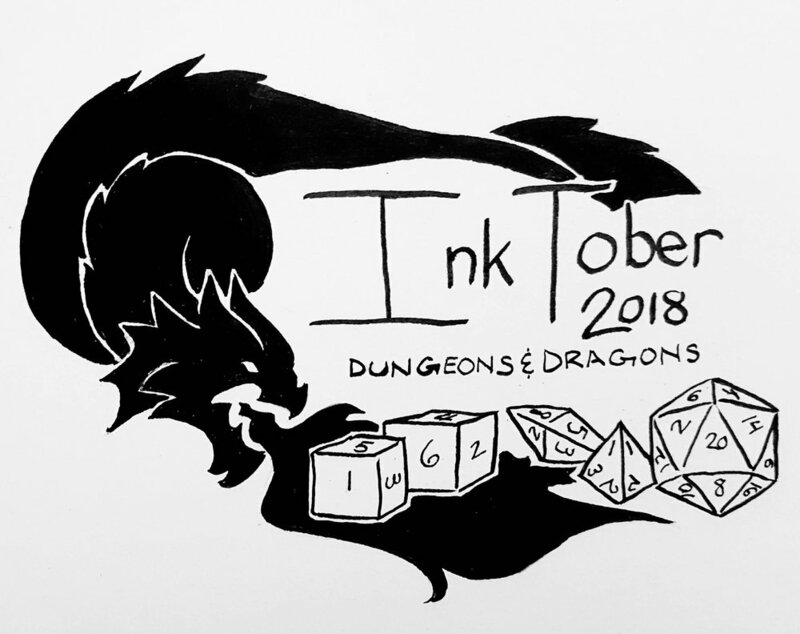 I will be posting an inked character everyday on Instagram and Twitter as part of Inktober, and will go into more depth with tips for how to build and play the character for one character design every week in my blog. All my characters will be playable as PCs or NPCs. All characters are free to play and change as you like to fit your campaign and play style. If you do use one of my characters, I’d love to know how it goes! 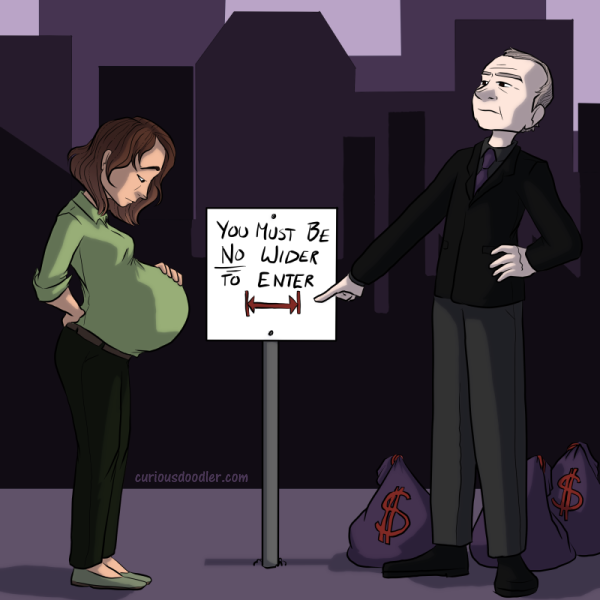 In order to practice my editorial illustrations, I decided to create an illustration based on Samantha Bee's piece on Pregnancy Discrimination. I am pregnant and fortunate enough to work in an environment where I feel respected and supported through my pregnancy, but that is not every woman's experience. I had a lot of fun building this illustration. Below are some of the thumbnails I considered for this piece. And here's the Samantha Bee piece this is based on. This week's prompt over on Illustration Friday is Bumblebee. I liked the idea of doing a geometric design, which seemed appropriate for bees. I am so happy with the design, I decided to make it a sticker. You can get one here. I discovered a website that does a weekly illustration challenge. It sounded like fun, so I decided to give it a try. This weeks prompt is Camping. The illustration was fun to work on. As a child, my family drove from Texas to Colorado for a camping trip. On the way, I discovered animal carvings called 'fetishes' that are a common art for local native american tribes in the area. I loved the tiny sculptures and spent all my vacation money on them. The shape of the frame for this illustration is inspired by a very common fetish, a bear. 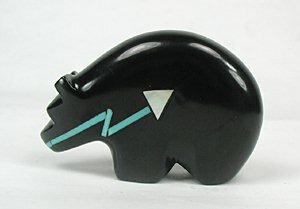 The bear symbolizes a lot of things. Different carvings evoke different meanings, but over all it means things like guardian, strength, and power, which felt like the perfect sort of creature to watch over the little scene I illustrated. I also chose to do a traditional illustration using inda inks and a micron pen. I wanted to capture a different local for camping. Sleeping under the stars after a hard day rock climbing! I have been getting ArtSnacks box for two years. Recently, I discovered SketchBook. It's a similar subscription service that delivers full sized art supplies to your door once a month. I'm a big fan of subscription boxes and often recommend them. I'd like to find the best possible box to recommend and for my own use! I bought a three month subscription to SketchBox. This cost $85.00. There was a slight discount for buying more than one month at a time, but that breaks down to about $28.00 a month. SketchBox comes at two cost levels. I purchased the lower cost level, SketchBox basic. ArtSnacks is a $24.00 a month and only comes at one cost level. The May SketchBox arrived on April 27th and the May ArtSnacks box arrived on May 2nd. For me, the cost and delivery dates are close enough that they are comparable. The ArtSnacks box contained Copic MultiLiner CS, Tombow MONO Graph Mechanical Pencil, KUM Correc-Stick Eraser, Faber-Castell PITT Big Brush Artist Pen, and Liquitex Professional Paint Marker, 2mm. Overall, this was a disappointing box from ArtSnacks, in my opinion. Compared with last month's box, this box was a disappointment. Copic MultiLiner CS: The copic multiliner CS is a calligraphy pen (CS stands for calligraphy small). It has a small chisel tip. I am not a fan of this product. I like the copic multiliners in general, however this calligraphy tip does not work well for me. It was difficult to work with and did not compliment my technique. I was able to make it work, but it took twice as much effort as a normal multiliner or a brush tip pen. If I worked in lettering, this pen might have been useful, but I don't work much in lettering. I'm a bit confused as to why this pen was included in this box as ArtSnacks does offer a box exclusively dedicated to learning lettering. Tombow MONO Graph Mechanical Pencil: This is a normal mechanical pencil. A mechanical pencil was included in a box a couple months ago and I'm still using that pencil. I didn't need a new one. It is a finer led, but not enough that I particularly notice the difference while sketching. Tombow is a nice brand, but it's just not what I need in a mechanical pencil. KUM Correc-Stick Eraser: I like this product! It works as advertised. It allowed controlled precision while erasing. I've been having some trouble with erasing sketch lines and loosing some of the ink in the process and needing to touch up the ink. I hope this eraser will solve that problem. Faber-Castell PITT Big Brush Artist Pen: This could have been a good product, except I'm not not a fan of the color. I do like the pen itself. The large size is great for filling large areas and the brush tip allows a lot of control. I also like the large barrel on the pen. It's comfortable to grip. I have yet to test the pen's blendability. It the ink is india ink which should not blend with water based products. I'm not sure I like the pen enough to buy it in a better color. Liquitex Professional Paint Marker, 2mm: This is a water based acrylic pen. I love the liquitex band. I like this pen. The ink applies with a sticky texture. Pages closed on this ink while wet will be cemented together, so be careful! However, the ink does dry quickly. When dry the texture is a matte, almost flaky texture. The bold color translates well to the page and the pen is easy to manage. I prefer a brush tip and this pen has a chisel tip, but it was still easy to work with. I don't know if I'd buy it again, but would buy it if I were working on wood or some other non paper medium. The SketchBox contained Spectrum Graphic Custom 3 piece set, Tombow Dual Brush Pen, Tombow Blending kit, Derwent Drawing Pencil, and LePen Drawing Pen - Brush. I loved this box! All of the products in the box worked together so well! Getting a three piece set of of the Spectrum pens was fantastic for getting a full read on the product. Similarly, the two tombow pens allowed me to test how the tombow pens work together. Spectrum Graphic Custom 3 piece set: I really liked this product. These markers are alcohol based, similar to copic markers. They blend well with each other and blend with copic markers as well. A little googling says that these pens cost a little less than copics, but are at a similar price point. My one complaint about these markers is that they did not come with a brush tip. This brand does offer brush tip markers. I loved the colors offered in this set! I might buy more colors if I can find the brush tip version of this marker. Tombow Dual Brush Pen: This is a narrow barreled water based marker. I'm not a fan of water based markers. They tend to cause bleeding in most of my black ink liner pens. This pen was no exception. I had to choose my inking pens more carefully than I would with an alcohol based pen. For a water based marker, I liked it, but I'm not likely to buy it again. Tombow Blending kit: This came with a blending pen and a wonderfully helpful pamphlet on blending methods with this product. Although, as previously mentioned, I'm not a fan of water based markers. The literature on blending methods was an interesting read. Some techniques sound interesting and the blending pen allowed some fun techniques when used with the colored tombow pen. Derwent Drawing Pencil: This is an interesting product. It worked well with all the products I've tried to use it with. It's opaque over most alcohol or water based inks. The pencil has a wax texture which is unusual to work with, but I liked it once I got used to it. I don't think I'll be buying this again, but I do like the product. LePen Drawing Pen - Brush: I like this product! It's a broader brush tip pen than I usually use for inking, but it does allow more dramatic line work. I've enjoyed working with this product and I might buy it again. This month, SketchBox was my favorite! The products were better and more useful for trialing. Because of the sets with multiple colors, I was able to put the products through their paces. For example, I was able to trial blending the products regardless of whether or not I already have markers of the same base. The box was well designed and the products went well together. The ArtSnacks box did not meet the same criteria. The products did not work well together. Not only was the multiliner not well designed for illustration and bleed when combined with other products in the box. I'm disappointed because ArtSnacks is usually a better box. Hopefully next month is better! Loona and the Sargasso Sea launched on Amazon last month! I'm excited about the project because I illustrated the cover art! Today I'm going to give a behind the scenes look at what it takes to create a professional illustration for print. A quick caveat. I illustrated the cover, I did not format the cover or do the lettering for the title. I also did the entire piece digitally using FireAlpaca (a freeware digital illustration program) and MS Window's native photo editing software. Above is the finished cover, front and back. Both front and back have the same base illustration with slight alterations. to fit the needs print and a conventional book cover. The first thing I did was talk with the author. The book is set in Nantucket, an island off the cost of Massachusetts USA and the author wanted a cover that captured that setting and a bit of the fantasy elements that are the crux of the setting. With this basic information, I had a pretty clear idea of what I wanted to draw. The next step was to look online and find some good reference photos. Since I have never been to Nantucket, this was an important step to capture the mood of the setting. Below are some of the reference photos used most heavily in the creation of this cover. With reference images in hand, the next step was to select a color palette for the illustration. The color selection is as important as the line work in the illustration for establishing mood. Look at the difference between the front and back cover. Both covers have the same illustration, but the back cover has different mood because the palette is more dark and purple. For now, I'll focus on the front cover, because that is the cover I illustrated first. To help me selected a cohesive color palette, I use a free online tool, paletton which allows me to start from a standard palette, select colors, and tweak the pallete until I have the basic colors selected for my piece. Below is the color palette I started with for the front cover. It's only four colors. Limiting my color options helps me force the illustration to remain cohesive throughout. There are many colors used in this illustration that do not strictly appear on the color palette. When using colors that stray from the palette, I am careful. These colors will look out of place. This can be good. An element in an illustration that looks out of place can draw attention to that element and make it pop. However, this can be bad as well. An element that is unimportant, but pops because of a color choice can make the illustration confusing. Armed with both my references and my color palette, it was time to begin drawing the illustration. For this I wanted a minimalist look with bold line work. I started with the line work in black. Once I was happy with that, I changed the color of the line work to the darkest shade of the color I wanted to be most prevalent throughout the illustration, blue. When I was happy with the line work, I laid down flat colors. That is, I filled the regions with roughly the color I wanted them to be. So I filled the sand with an orange color, the sea with a blue color, etc. Once I had my flats down, I began painting. Since I was going for a minimalist look, I wanted the painting to add subtle texture to the illustration without cluttering the minimalist aesthetic. The finished illustration was sent to the author for a few rounds of edits. Where the author pointed out elements of the illustration that did not match her vision and I adjusted the illustration to better fit the author's intention. The final product was sent to the author for final approval. The back cover was the same illustration as the front cover, but with the mermaid tail edited out and a few color filters applied. The purpose of these filters was to change the color palette and thus change the mood of the illustration for the back cover. Both of the final images were sent to the author who then sent them on to a formater who added all the text elements and ensured that the piece was formatted correctly for print. All in all, illustrating a cover is a lot of fun. I enjoyed the process and it is immensely satisfying to have my illustrations on a book that sits on my bookshelf! Loona and the Sargasso Sea is available on amazon as both paper back and kindle. 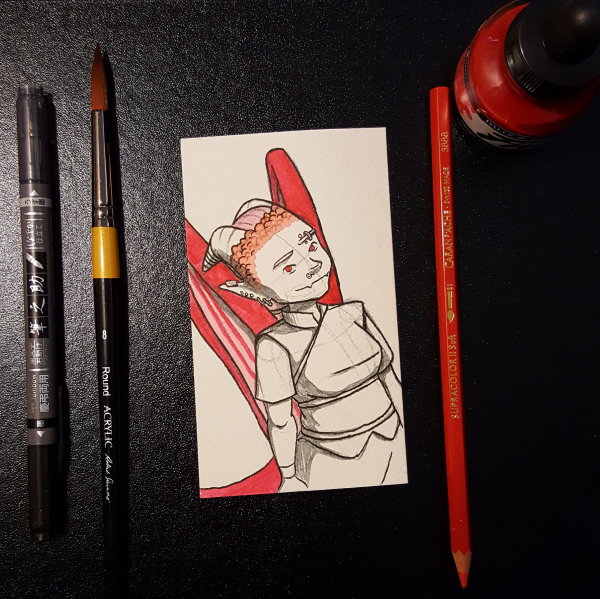 This week, I got a set of gray copic sketch markers. I have tried to use copics in the past, but I've never been a fan of them. It has probably been a decade since I last tried to use copics. I chose to buy the grays set because it felt the most versatile. The set came with N0, N2, N4, N6, and N8 copic sketch markers and one black multiliner size 0.5. The copic sketch markers are duel tip with a brush nib and a broad nib. I was most interested in the blending ability of the markers, so I did not use the broad nib. This is not my first time using a copic multiliner, and although all of the images above were lined using the multiliner, I will not include it in this review as I am keeping this to first impressions. My first attempt, I just executed simple cell shading to get a handle on the range of tones available in this set. This is the second image in the first picture (I am left handed so I tend to work right to left to avoid smudging my work). I was happy with the results of this experiment. I like how light the N0 marker is. I suspect I will use the N0, N2, and N4 markers the most as the N6 and N8 were a little dark for my normal use (they are great for dramatic and dark images though). The darker markers did seem to bleed at the end. This is great for a blended look, but it made the cell shading look a bit messy at the end. This could have been because I was trying to work too fast and not allowing the markers to dry. My second and third trials were to achieve the blended look that copics are notorious for. The brush tip nib is perfect for this effect. I was impressed that the markers didn't not seem to hold the colors I was blending them with. For example, if I used the N0 brush to blend N0 with N2, the N0 brush did not appear darker on the next use. However, this may not hold true for other colors that are more dissimilar than the grey set. Overall it was very easy to work the ink across to give a nice smooth gradient from one color to the next. The darker colors were more difficult to control as they had a greater tendency to bleed and it took more space to work them into the next color, but sticking with the N0, N2, and N4 brush, it was easy to control and blend them together. One problem I did not expect was that these marks to splatter. Seen in the first image. I did not expect this and suspect that there are precautions I could have taken to avoid splatter. Such as being careful to open and close the markers over another surface that wasn't my work area. It is worth noting as it did affect my work. Also, all the markers bled through to the other side of the page and a few spots bled through to the the next page. This I expected, but it is worth being aware of. Throughout the week, I unwind by drawing in my sketchbook. Here's a quick run down of the supplies I played with this week and what I think of them. I have played with all of these supplies before, so I wouldn't say this is a first impressions review, but some of them I've only used minimally, or a long time ago, so I don't have a lot of experience with all of the supplies. SumoGrip Mechanical Pencil: This pencil is in all three of the images above (click the image to see full sized). It is currently my favorite pencil for sketching. Everything I draw right now starts with this pencil. It takes 0.7 lead and is incredibly comfortable to hold. It has a twist up eraser that has never given me much trouble with smudging. Most important is the grip. It's wide grip is designed for comfort and to be used all day. I absolutely love this pencil! Tombow Fudenosuke Brush Pen: A fine tip brush pen with black ink on one end and grey ink on the other end. I talked about this pen last week in my first impressions post. You can see it's in every image this week. I wanted to use it a bit more to get a better feel for it. I still love this pen and will happily buy it again. I've found it's most useful for dark line work. As I've mentioned before, the black ink is extremely opaque. It was able to write over bright red ink last week and this week it completely covered metallic gold ink and survived being erased over. The one problem I've run into is the size of the grey ink tip. The black and grey tips are the same size. This is the perfect size for small details and a lot of control. It worked very well in the second image above. However, the fine tip on the grey side was not very versatile. The black tip doesn't need a lot of versatility. I only use that side for line work, so as long as I can get some good line weight I'm happy. However, using the grey tip for shading means there are going to be larger fields of color that I want to use it to fill. The small tip is not well suited to these applications. The first image and last image were difficult to work on in places because of this lack of versatility. I still like this pen and will use both side. Black for line work and grey for detailed shading, but I'm searching for a better option for full picture shading. Copic Ciao (YG11): Seen in the first image, this is a pale green copic marker with a super brush tip and a medium broad tip on either end. I have had this for a while, but never got around to using it any more than a simple swatch. I've never been a big fan of copic markers. I find that they dry too quickly and tend towards a streaky look when dry. This week I tried using this marker as more of an accent than to lay down full color. I was pleasantly surprised by how much I liked it! Because I was using it in small doses, I didn't have to worry about it drying too fast. I also noticed that this pen was not drying out as fast as other copic supplies I've used in the past. I was also able to get a pleasant layering effect. I'm still not entirely sold. I found that the pencil had to be completely erased or the marker would pick up the color and become muddied. I prefer to leave my sketch lines while working, so I did not like this limitation. In the first image, you can see in the top left hand corner where I had to work the pencil out of the tip to get back to the pure color. I did like the pen and will try to use it again in the the future. Graphite & Charcoal Drawing Pencils (by: Pentalic): This is a 6 pencil set that includes 6B, 2B, and HB graphite along with medium, soft, and white charcoal. This week I only used the 2B and HB graphite and the medium and soft charcoals. I do not use pencils for much outside of sketching. I personally prefer ink. However, in the second image, I wanted to give the smoke a dirty, smokey quality, and I felt pencil was the medium best suited to the job. I've had this pencil set for a long time, but never used them outside of a quick first impression months ago. Even in this piece, I only used it for accent. That being said, I was happy with the product. I was able to blend the pencil into the shape I wanted with my finger and the final product was what I had imagined. Metallic Caran D'Ache (gold): This is a medium fine tipped pen with a metallic gold ink. I've had this pen for a while and enjoy using it as an accent. It's a fun pen with a bold metallic ink. The ink is very strong, opaque, and can write over anything. It has a slight metallic shimmer. It is clearly gold, not a dark yellow. I like this pen a lot, however I do not use it very often as a little accent with this pen goes a long way. In this peace, I was pleased to see that my Fudenosuke pen was able to write over this gold pen, both with the opaque black tip and a transparent shading with the grey tip. This is my #artsnackschallenge drawing for the month. I've been a bit busy and missed a few months of challenges, but I really liked the contents of this box so I wanted to do the challenge! Also, the colors were perfect for this character! The ArtSnacksChallenge is to use all the materials that came in the monthly box to create a piece. Tombow Fudenosuke Brush Pen, Twin Tip, Black/Grey: It took a while for this pen to wake up, really patchy and garbage flow at first. I thought it might have been ruined by sitting out in the cold for too long. But when I finally got it working, it's a fantastic pen! The black end is wonderfully opaque even over that bright red ink! And the grey ink is light enough that you can add layers to get depth in shading. I don't think I really put it through it's paces very well in this piece because I was just learning how to use it, but I have some drawings in my sketchbook where I really took advantage of layering that grey ink. I will be rebuying this pen when it runs out of ink! Caran d'Arche Supracolor Soft Aquarelle Pencil: I like water color pencils a lot, but I have struggled to find a good set. Most of the ones I have tried, are more pencil and look like smeared pencil when water is applied. This pencil worked great! It transitioned from pencil to water color when I used my brush brilliantly. And the color was equally bright with and without water. I can't wait to put it through it's paces a bit more. If it continues to impress me, I might buy a full set of this brand. Daler-Rowney FW Acrylic Artists' Ink: I love ink! It's one of my favorite options for traditional medium! This is a different brand from what I usually use, liquitex. It's also a smaller bottle than I'm used to. It is a great product though! The pigment is well mixed and wasn't trying to separate when I opened the box. When applied the color is very bright and it responds well to adding water and being used as a wash. It also played very well with the brush. It wasn't drippy and I had a lot of control. Overall, it's a great product, but I probably won't buy more because I'm already happy with the brand I'm using. I'll definitely use this bottle up though! I don't have a nice red like this in my collection right now. Robert Simmons Short Handle Acrylic Paintbrush (number 8 round): This review goes hand in hand with the ink's review. The brush was great! I had wonderful control over where the ink went. Even when using it as a wash. The brush held the ink well and there was no dripping. I was able to maintain all the little details I had included in the sketch. So far, I like this brush, but my biggest struggle with brushes is how long they last. I won't be deciding if it's worth a rebuy until I see how long it holds it's shape. After one use, it looks good as new so we're off to a good start! L'Aquarelle Canson Heritage Watercolor Paper: This was included as a 'bonus item' and isn't a full sized supply (my favorite thing about this service is that it provides full sized supplies and it feels a bit unfair judging a product on a sample size). That being said, I'm happy with the paper so far. It held the ink well and there was absolutely zero bleeding. It didn't compromise the quality of the other products either. I have been looking for a good paper for water color. I do still have two more samples to play with so I want to test out one of the pages with washes to see if the paper buckles or warps. If it holds up I might buy a full sized pad. All in all, a great box! I'm really happy with all my new toys! I don't think there's a single thing in this box that will be used once and then rot in the bottom of a drawer. If I had to recommend one of these products based on my experience so far, I'd recommend the Tombow Fudenosuke Brush Pen. I definitely think this is going to become one of my go to products and if I had to send everything back but one, this is what I'd keep!